Living a life less ordinary, Adrian’s first love has always been the environment. Having history in Antigua for 28 years, his infectious passion for conscious living was the driving force behind Turtle's Surf Shop, and more recently his new clothing brand TRTL TRIBE. After suffering a broken neck whilst body surfing, which left him in a wheelchair, Adrian decided to revisit his love of graphic design, fashion and the environment and so Turtle's Surf Shop in English Harbour, Antigua was born. Founded in 2011 Turtle's Surf Shop has become a leader in the Caribbean, known for supporting ethical brands with a focus on great design. TRTL TRIBE is the exciting next step for Adrian, with the introduction of new designs, which will see collaborations with well known artists, the launch of the online store – watch this space! – and of course continuing the quest to bring ethical and sustainable fashion to the forefront. 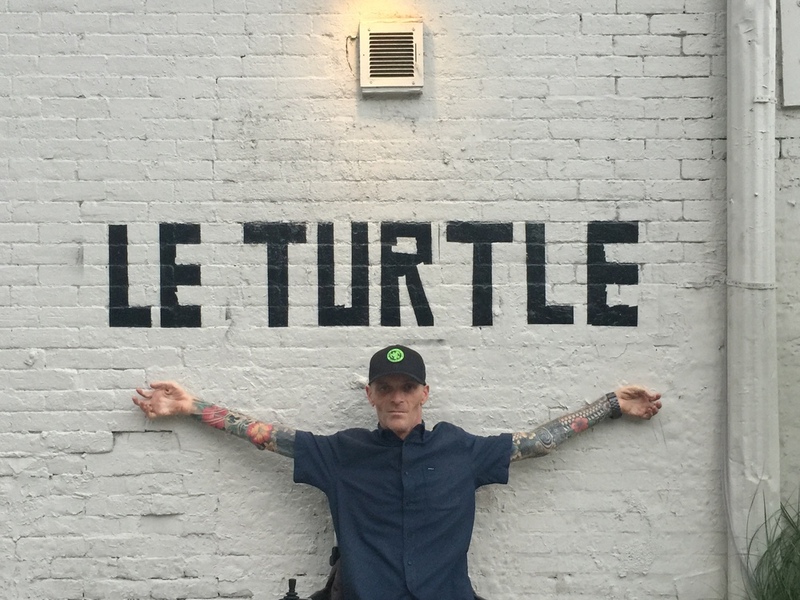 Adrian established both Turtle’s Surf Shop and clothing brand TRTL TRIBE to fight the misconceptions that ‘green is too expensive’ or that because it hasn’t replaced the non-ethical alternative it can’t be as good. By raising awareness and proving that these brands and products are just as good if not better is his way of giving back in the fight for a sustainable future.